Make sure you are dressed comfortably! 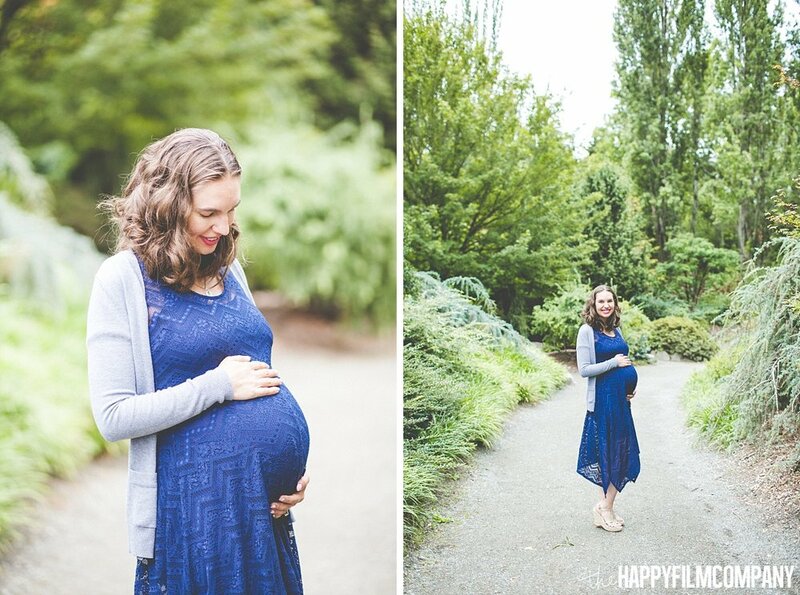 I originally purchased a beautiful dress off of Etsy that I found after hours of searching for the perfect maternity photo shoot dress. As soon as it arrived and I tried it on, I was heartbroken because it was so unflattering. I started trying to figure out how I could pin it or alter it to be more flattering, but it was stressing me out. 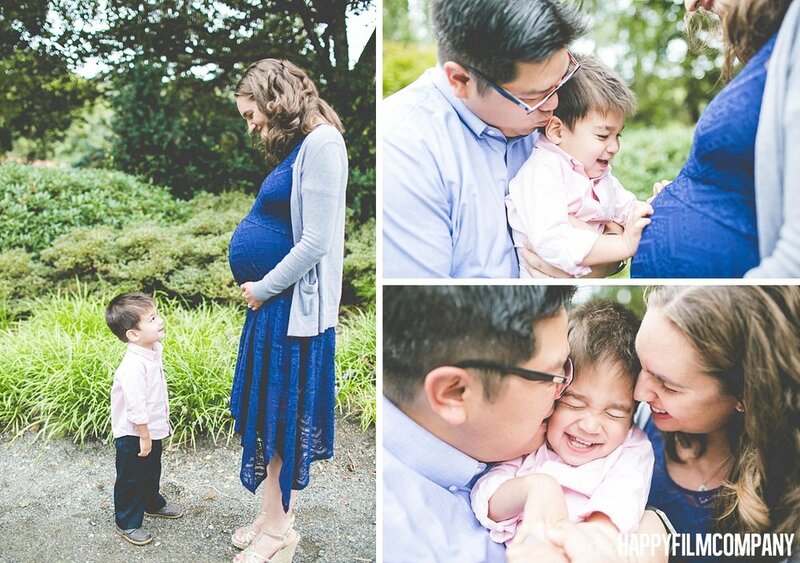 I ended up finding a dress on clearance at Motherhood Maternity that fit perfectly and I felt very confident in. I also made the mistake of wearing tall wedge sandals for the first time in my pregnancy. I was petrified that I would topple over as we walked around Kubota Garden. As soon as the shoot was over, I changed into my Chucks and rested my tired legs, which were sore the rest of the day. In hindsight, I should have worn flats. Bring props! It’s always fun to have a prop to interact with during a photo shoot because it takes the pressure off of having to pose all the time. 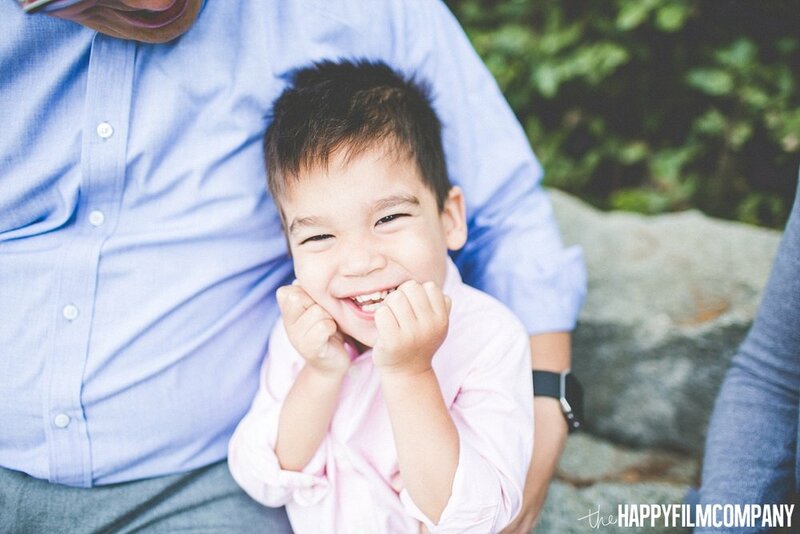 I really wanted to involve my toddler in our maternity shoot in a creative way. 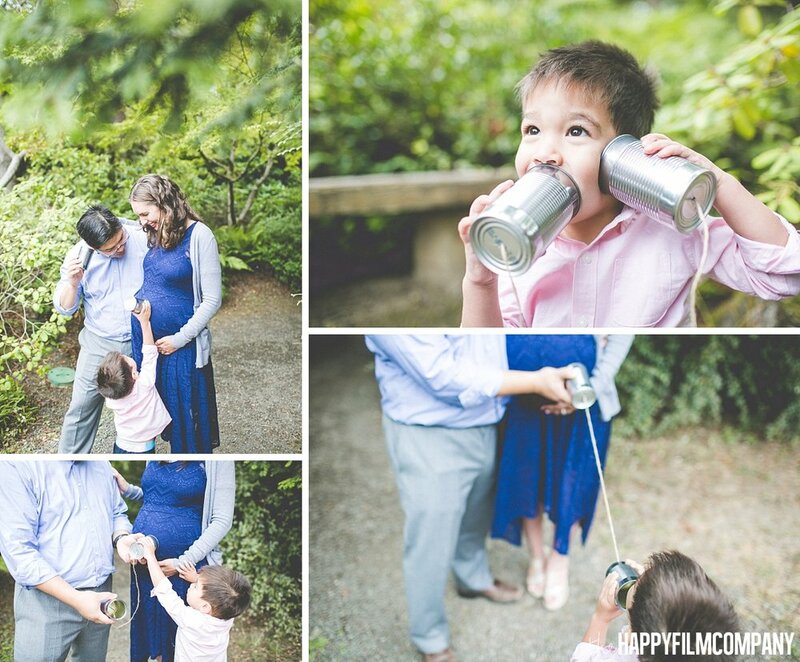 I saw a photo on Pinterest of a toddler with a tin can phone listening to the baby in his Mommy’s tummy and I knew it was the perfect prop for our family! My toddler loved playing with the tin cans and making funny sounds. My husband actually tried it out too for some fun shots! We also opened a time capsule that we sealed on our wedding to be opened on our 5th wedding anniversary. 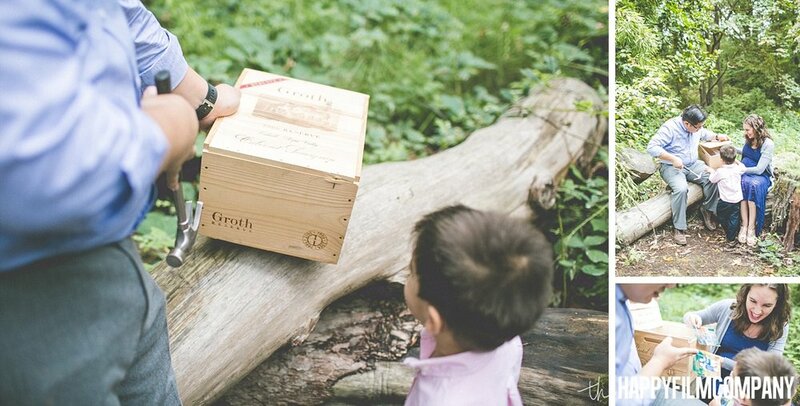 It was amazing to have professional photos of us opening up the box with our toddler and reflected on how much our lives have changed in 5 years. Choose a location with an indoor option. 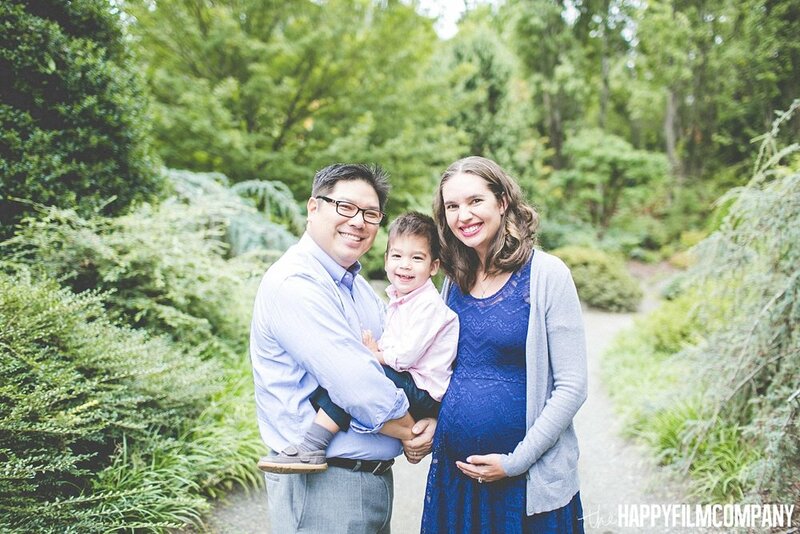 We chose Kubota Garden because that’s where we did our wedding photos 5 years prior, my first Mother’s Day photos and it’s a special place to our family. However, as with Seattle weather, we finished our shoot 2 minutes before it started raining. We lucked out, but had it rained at the beginning or during our shoot, there wasn’t a lot of options of places to stay dry. 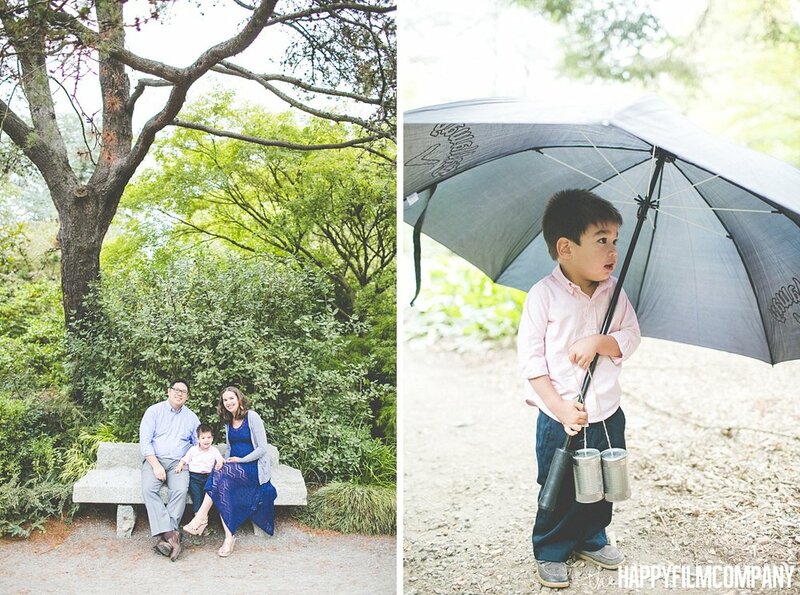 If we were to do it again, I might find a spot that also had an indoor area (or something nearby) or I’d bring colorful umbrellas and embrace the rain!